The JP-15™ upper/lower matched sets are machined from the highest quality 7075 T6 forgings and precision machined to be compatible with any other Mil-spec components or high quality aftermarket components. Finished in the mil-standard hard coat process and coated with Black Teflon™ for perfect cosmetic appearance and natural lubricity. 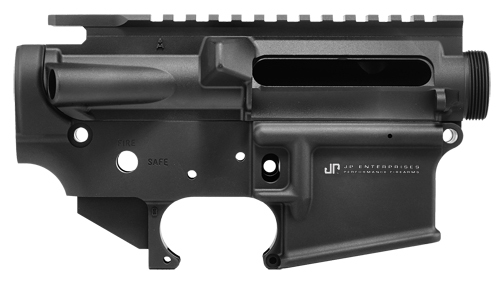 Avoid buying upper and lower receivers from different sources, as they will almost never match in finish. High quality home builds should have matching receivers.